Traveling Companions | Where Is Annie? 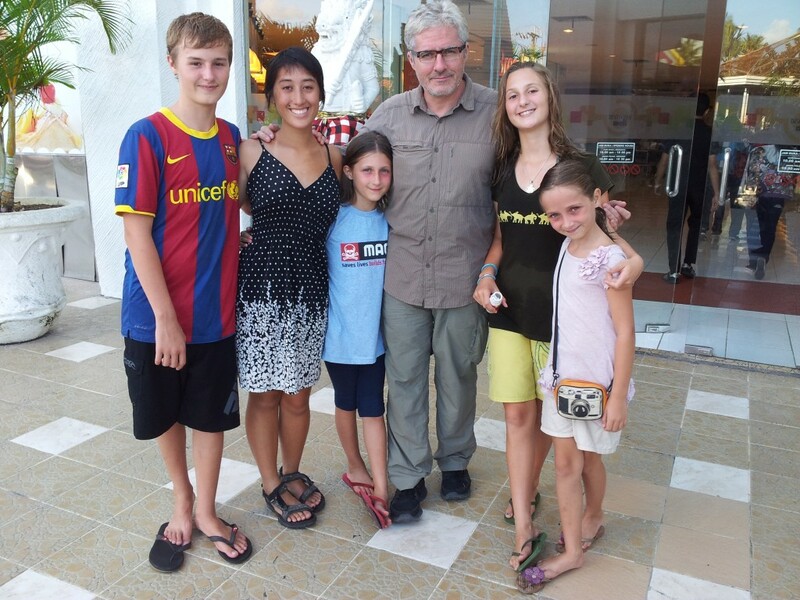 We met the Dixons half-way through our trip. We had dinner together at a local restaurant in Chang Mai, Thailand. We pushed several formica tables together and gathered enough plastic chairs to seat us all. We ate traditional Chiang Mai food: some chicken in coconut sauce, a spicy beef stew, a strange dry sausage, some green vegetable curry for Cat. Dessert was ice cream. 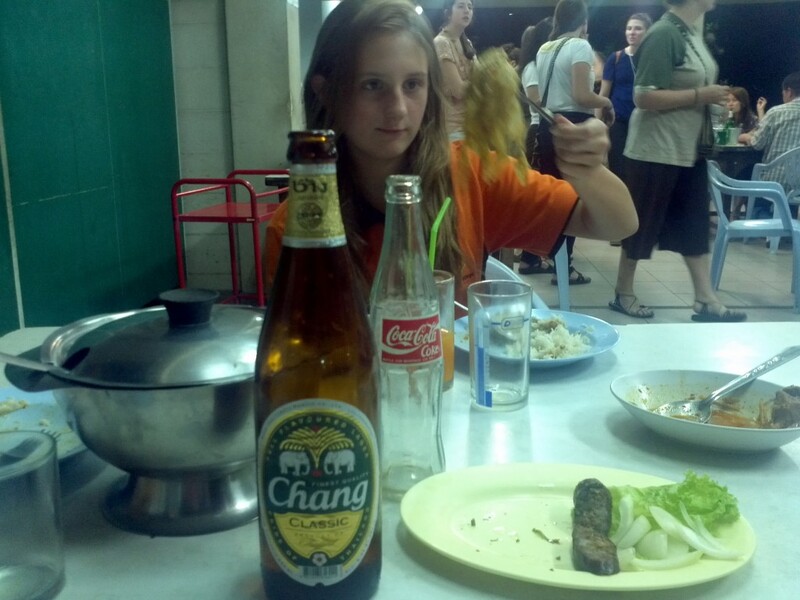 The beer was Thai: Chang beer. I found Ainlay Dixon on a travel forum. I had been posting requests in Turkey, Africa, and India trying meet up with another traveling family. Ainlay was the first to respond when I posted we would be in Thailand. I went to her blog to learn as much as I could about the family before we met. Where were they from? Where had they been? I learned that when they left the States they left their home in New York. They were planning on coming back to a new home in Philadelphia. They had started in SE Asia and had been to countries all over Asia including Borneo, Singapore, China, Tibet, Bhutan, Nepal, and India. We were disappointed when we learned that we’d missed them by one week in the communist, Christian state of Kerala, India. 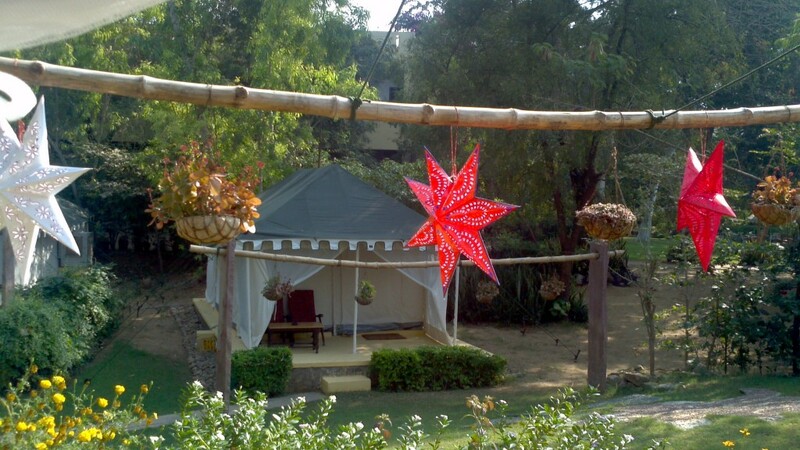 We had bought Christmas decorations in Kochi to put up in Rajasthan on Christmas Day. They exchanged their Christmas gifts in Kochi. We spent hours together that first evening, talking. We learned we had different styles of travel. 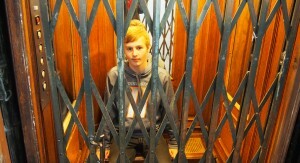 My family had for the most part spent three to four weeks in one place, sometimes volunteering, sometimes just touring. They had moved to new locations every three or four days, experiencing a whirlwind of adventures. We talked about the places we liked and the places we hated. The Dixons hated Nepal; we loved it. We talked about the experience of travel, how previous experiences and expectations colored our appreciation for the places we visited. They had visited Nepal from Bhutan; we had come from India. For the Dixons Nepal seemed chaotic and filthy. For us, Nepal was a breath of fresh air. The Dixons used the trip as a way to move homes. We came right back to where we started, in Oakland. We talked about how we were educating the kids. They had to prove they had some sort of a curriculum and submit it periodically to the state of Pennsylvania. The state of California was more flexible with home schooling. Our kids had to complete a certain number of days of school, and on the road, every day was a school day or at least a field trip. We all agreed that it was amazing to have the opportunity to go on these adventures around the world, and it was precious to be creating such intense family histories. We spent a couple of nights in Chiang Mai with the Dixons, happy to be sharing time with people who shared our sense of adventure and our priorities. Ainlay and Vincent have four kids. 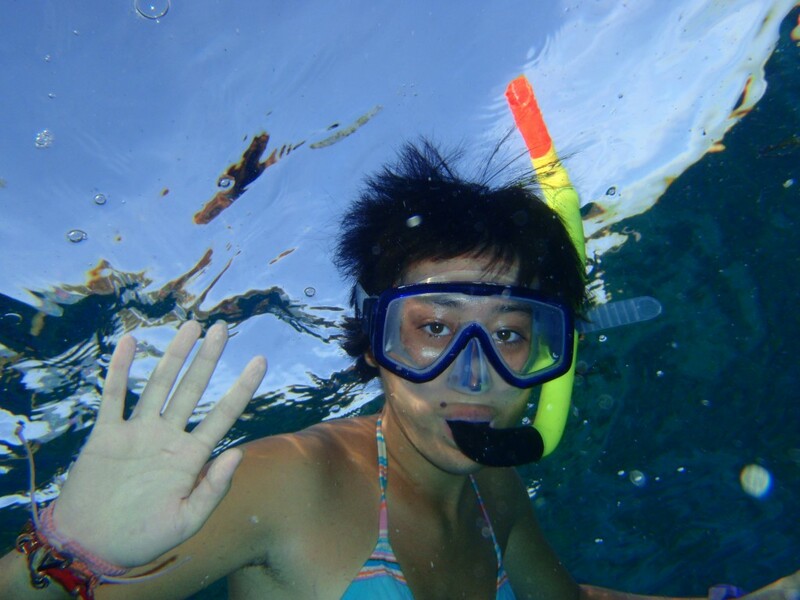 Ming, the eldest, was 18 and taking a gap year before college, traveling with her family. Their son, David Evan, was almost 13, and like my middle schooler was not thrilled by the experience of spending a year away from friends but instead spending it with his family 24/7. The twins, Leontine and Miriam, were eight but almost nine when we met them. Miriam was quiet; Leontine filled in the silent spaces. Hank and David Evan wandered together throughout the streets discussing Dr. Who. Cat played with the twins, but she also enjoyed Ming’s young adult insight into all things, including multiple episodes of Glee. 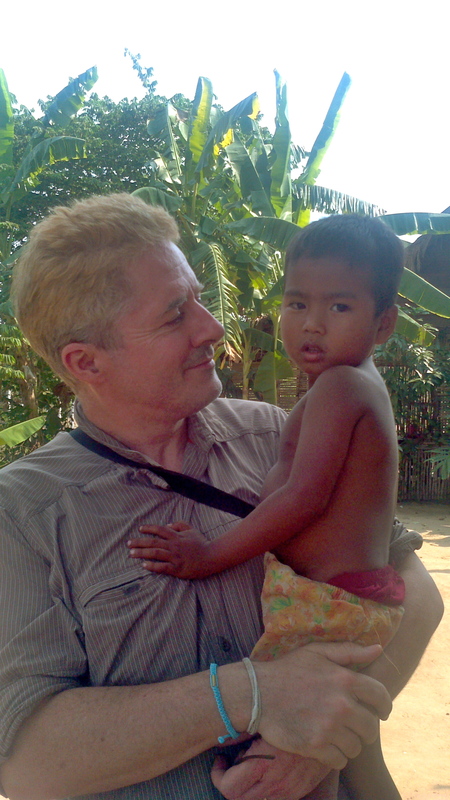 After Thailand my family moved on to Cambodia so I could work in a children’s hospital there. 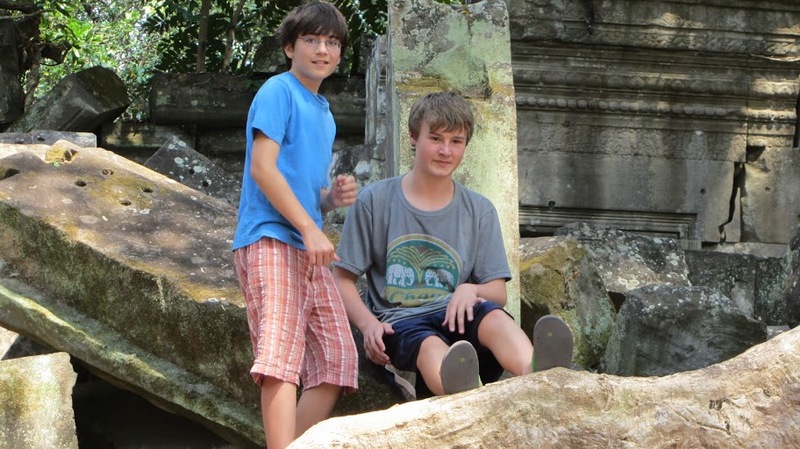 The Dixons came to Siem Reap to tour the ruins. We had them over to eat pasta. 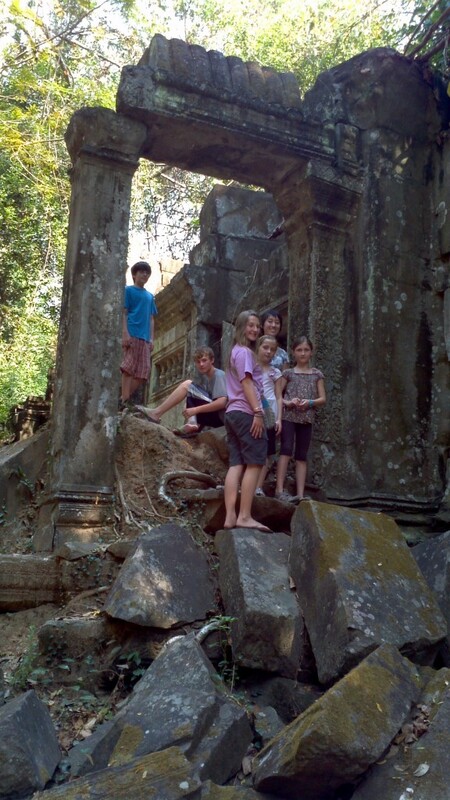 They had already explored some of the Khmer ruins including Ta Prohm where Tomb Raider starring Angelina Jolie was filmed. Stalls throughout Siem Reap sold cheap copies of the movie. The Dixons brought a DVD for us to watch after dinner. The film was bad. So Ainlay, Ming, and I spent the evening getting to know each other and ignored Angelina. The next day they invited us to cram into a van they had rented. 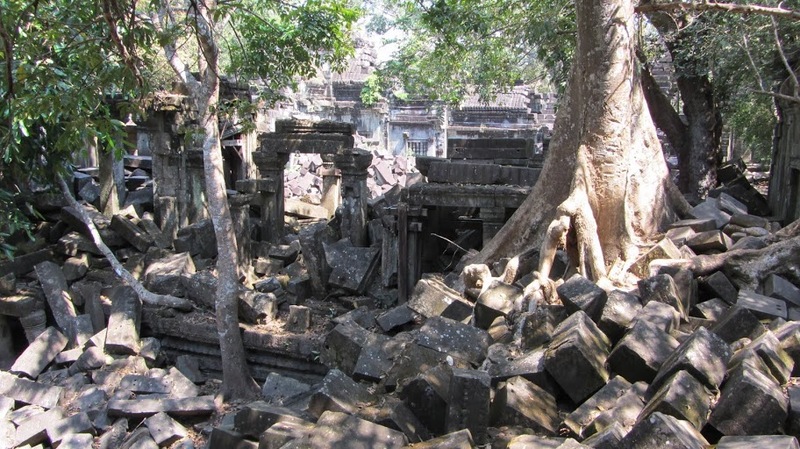 They were going to visit one of the better ruins of the Khmer Empire, Beng Mealea. It was outside of the main temple area so there weren’t a lot of visitors, and unlike many of the ruins it had not been refurbished. 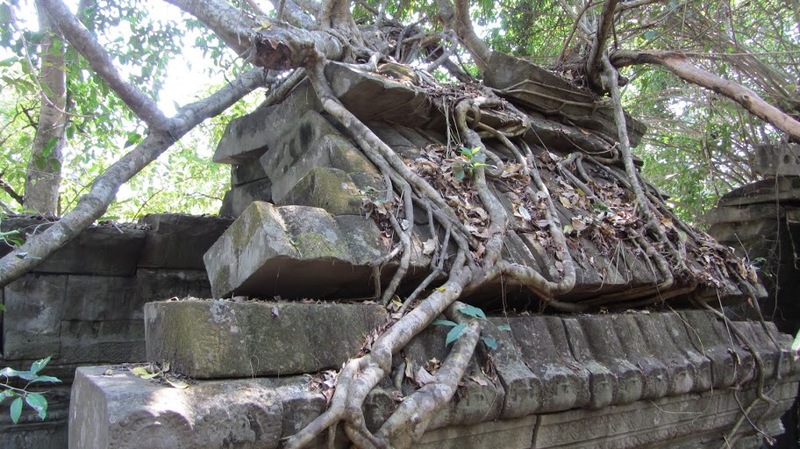 The walls had been broken by the giant roots of fig trees. Large stone blocks lay in haphazard piles. They had tumbled over each other as they fell, and no team of anthropologists had put them back. 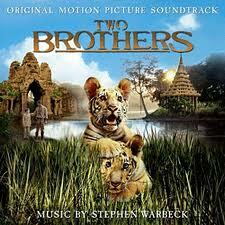 Our guide told us that Two Brothers had been filmed there. We had already seen the movie. We imagined the baby tigers jumping around on the jumbled ruins as we watched our children climb up and over the broken down walls. 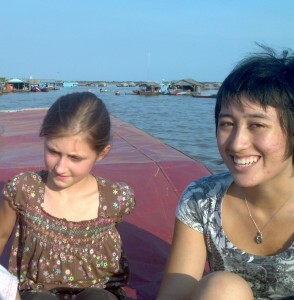 After the ruins we took a boat on the Tonle Sap Lake to look at the floating villages. Cambodia is flat. Very flat. 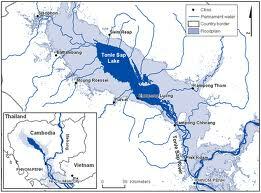 During the dry season Tonle Sap covers less than 3000 square meters. During the monsoons the lake expands to over 15,000 square meters. People have developed various ways to live in such a variable environment. 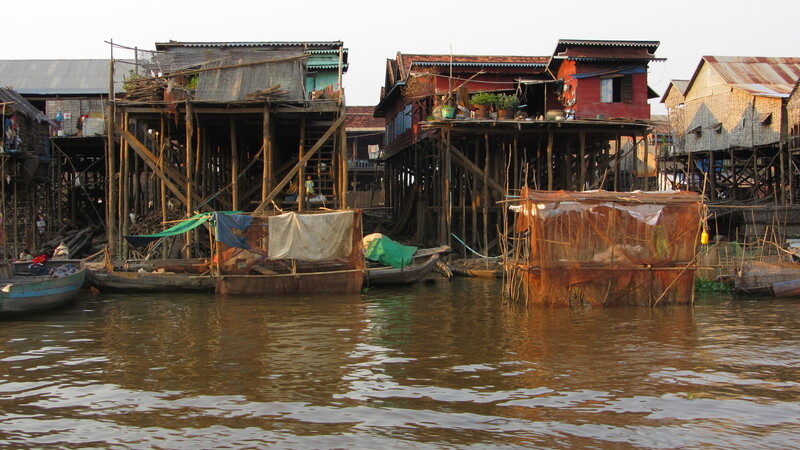 We saw houses three stories high, the first two stories made only of stilts. We looked up and wondered how the people didn’t fall down. We also saw floating villages. Everything floated. 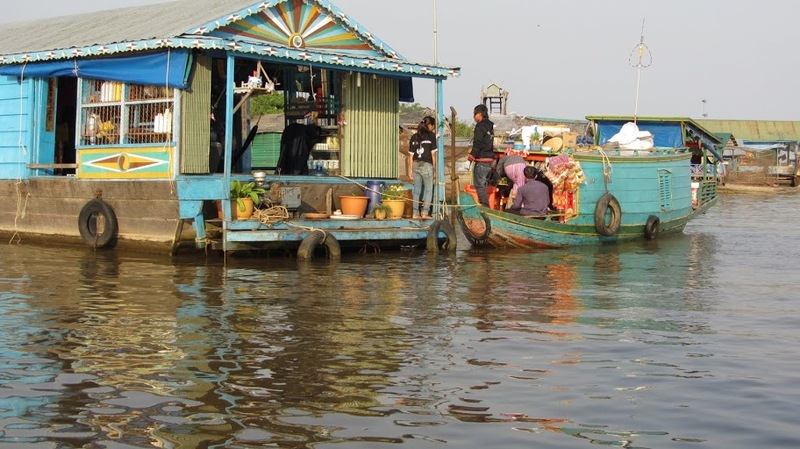 Homes, schools, and stores used pontoons as their foundations. There were even floating gardens and pigpens. We waved to the kids who paddled past on their way home from school. After this visit we didn’t expect to see the Dixons again, but Ainlay had a mishap (read it in her own words here). 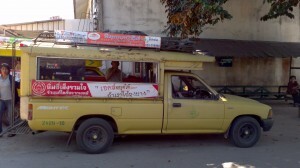 They were traveling to Laos from Thailand when her luggage fell off the truck. She tried to rescue the bag by jumping off of the still-moving vehicle. She ended up with a broken wrist. She hurt, but we benefited from her misfortune. The family came back through Siem Reap. 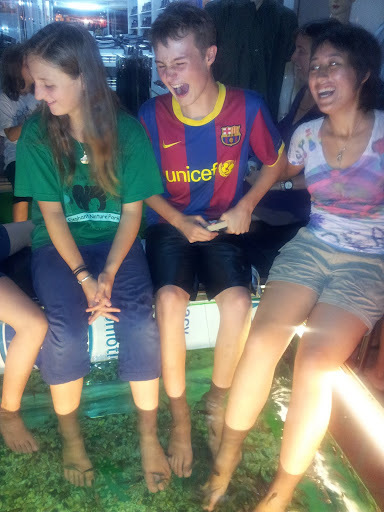 We went shopping in Cambodian markets and had our feet massaged by fish. Together we visited more restaurants and shared some more beer. 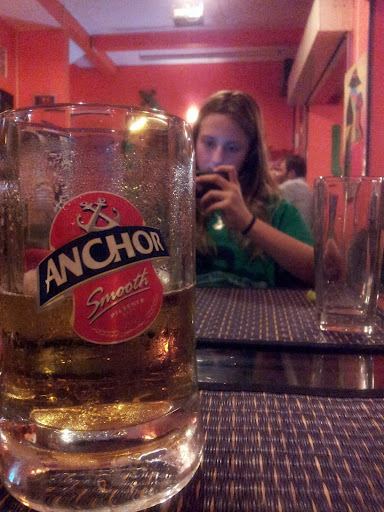 Angkor beer in Cambodia. Ainlay had to toast with her left hand; her right arm was in a cast. The Dixons finally did have their adventure in Laos and went on to trekking in cold, cold Myanmar. They then headed south to the warm islands of Indonesia. 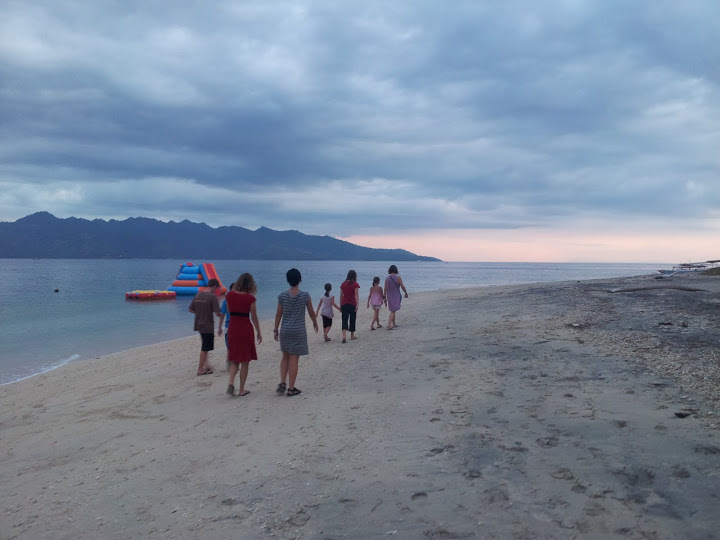 Vincent had to go work for a bit so Ainlay and the kids met us on Gili Air, a tiny island east of Bali. We rented a boat and snorkeled with turtles. We marveled as our captain dove down 5 meters and swam around a shipwreck, holding his breath for a scary long time. We watched as the pinks and reds of sunset sky reflected in the beautiful blue-green water of the sea. During the days we hung out on the beach together playing in adult sized swimming toys. The sun was warm, and the water was perfect. 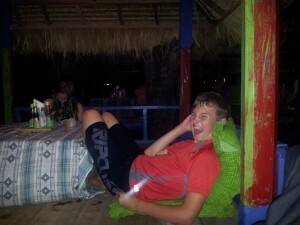 We ate dinners sitting on pillows on bamboo platforms over the sand. We ate Indonesian nasi goreng and Italian pizza. 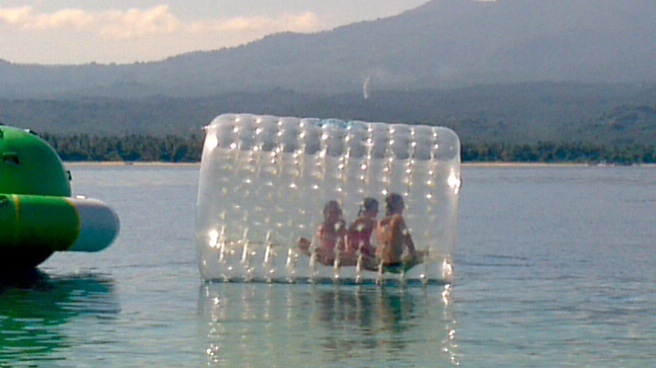 We looked out across the water to another of Indonesia’s 18,000 islands, Lombok. Every evening we watched as rain soaked Lombok. 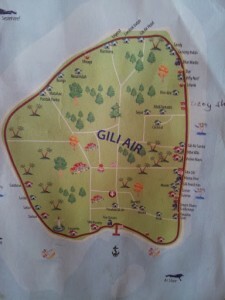 The rain only made it to Gili Air once. We remained sheltered in our bamboo dining room. In the morning we drank coffee grown and roasted the previous day on Lombok. 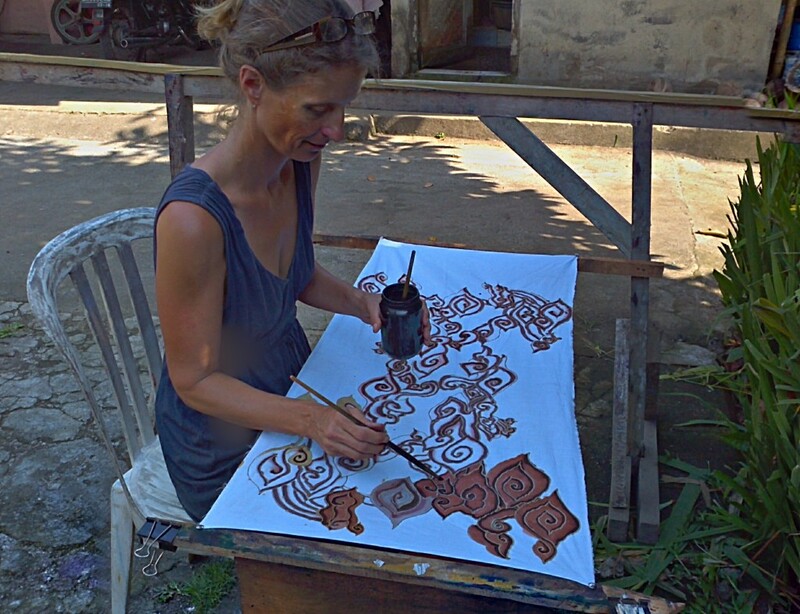 We moved next to the island of Bali, and met up again with the Dixons in Ubud. Ainlay had lived there many years before. She shared some of her insight into the place and used her connections to find us adventures. 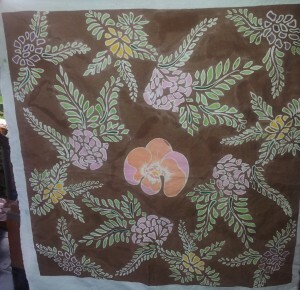 We visited an artist who taught us how to batik. 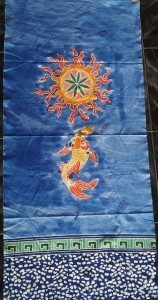 We spent an entire day learning the technique of waxing and painting the cloth. We painted the melted beeswax on with a small metal cone attached to a stick of bamboo for a handle. Watching the artists paint we were sure it would easy to trace the intricate patterns onto our cloth. Instead our wax clumped, dumped, and smeared. The artists rescued each of us at some point in the process. When Vincent finally arrived on Bali we told stories of our shared adventures. It was Ainlay and his anniversary, and he had brought bubbly from Australia. We once again raised a glass with the Dixon’s. We shared in their celebration and their sparkling wine. When it was time to return to the western hemisphere, the cheapest flight from SE Asia was through Qatar and onto Argentina. We hadn’t really thought about visiting Argentina, but the Dixons owned an apartment in an old building in Buenos Aires. They invited us to use it for a week until they could join us. It was a large, three bedroom apartment built in a beautiful, old Argentinian buildings. It had more bathrooms than our home in Oakland. My kids were so happy to have their own rooms. They were tired of sharing. 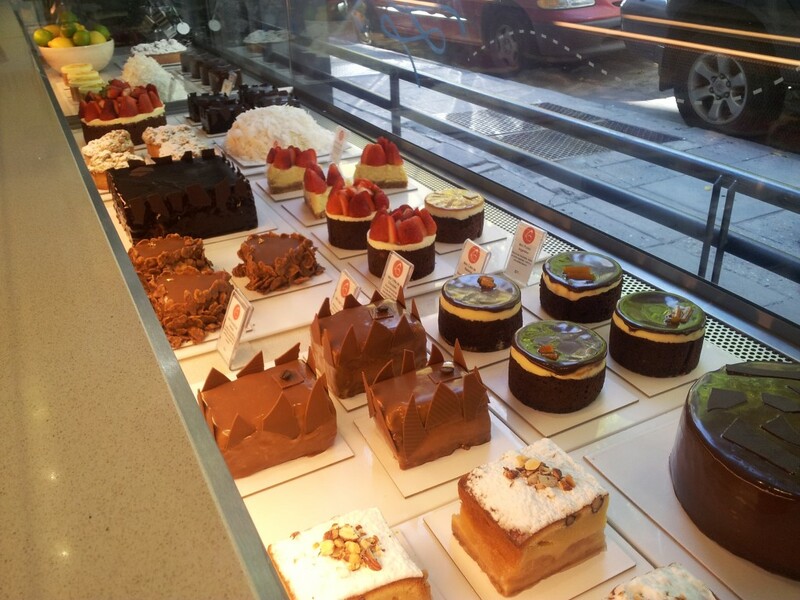 We tried to explore Buenos Aires a little that week, but there was a late fall in May and cold. We enjoyed the heat of the apartment a lot. When the Dixons arrived we explored Buenos Aires together. We watched as bakers squeezed dulce de leche onto lemon shortbread cookies. 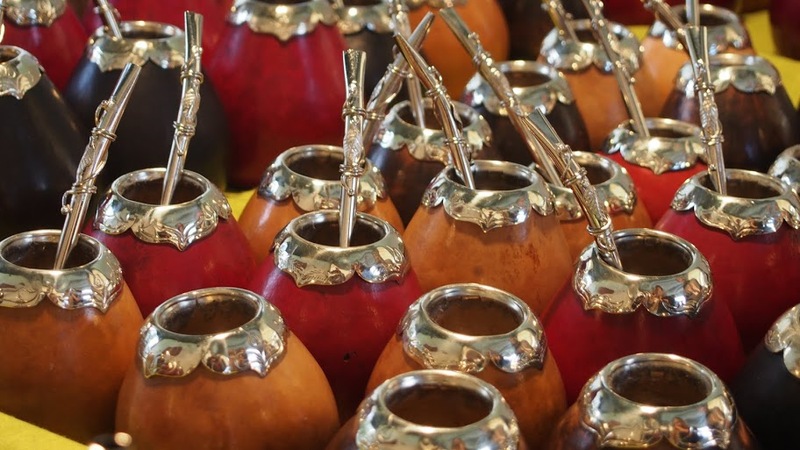 We inspected the maté mugs and jewelry in one of the many street markets in the city. 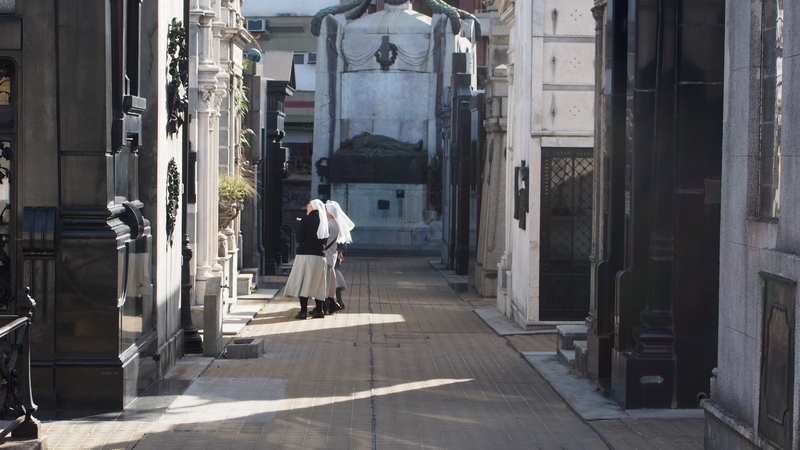 We explored the Recoletta cemetery where Evita was buried along with generations of the Argentinian wealthy. Vincent chose a restaurant where we ate Argentinian pizza, and drank, of course, red Argentinian wine. Bill and I thought the town was like New York. Vincent said Paris. That was May, and it was the last we saw of the Dixons. Until this February. Cat and I went to New York City for a four day excursion. Ainlay, David Evan, Leontine, and Miriam met us there. It was like we never left off traveling together. We went right into another shared adventure. We started with lunch grilling our meat at the table and topping it with kimchee, lettuce, bean sprouts, and other Korean vegetables. 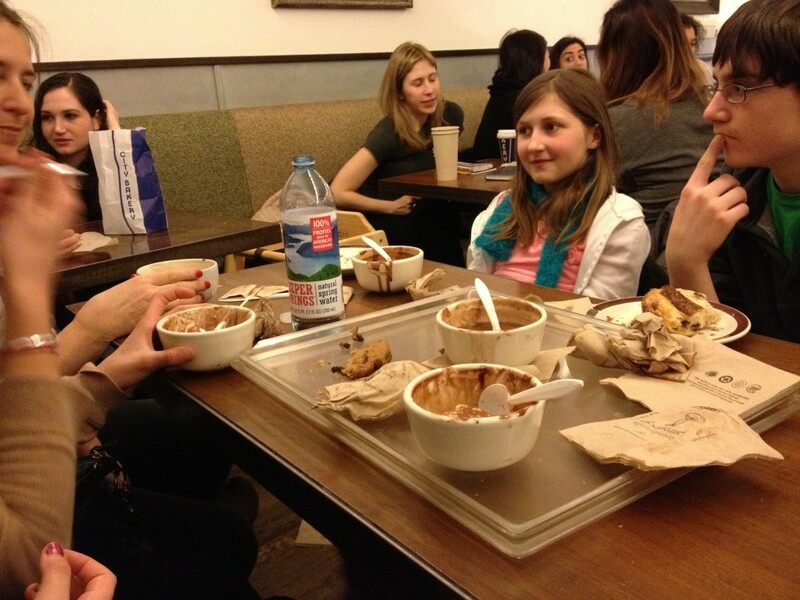 Afterward we went for hot chocolate. It was February, and it was cold. City Bakery was celebrating its annual hot chocolate festival, and Cat and I had planned on sampling the daily hot chocolate flavor while we were in New York. 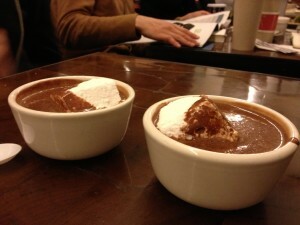 We brought the Dixons with us to try the lemon hot chocolate. 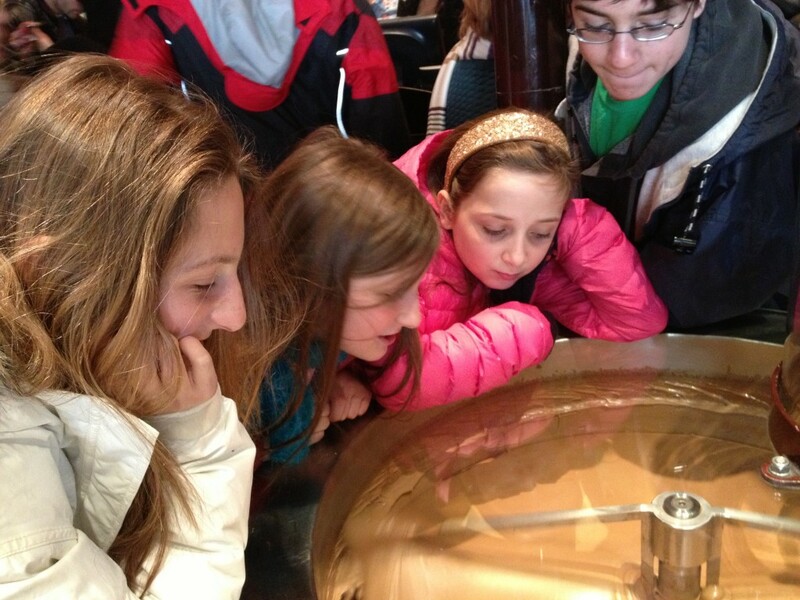 We were saturated with chocolate, but still they led us to Max Brenner’s Chocolate Shop where chocolate poured through pipes hanging over our heads. We just looked. We walked further and inspected the goods at stalls in the Union Square market. 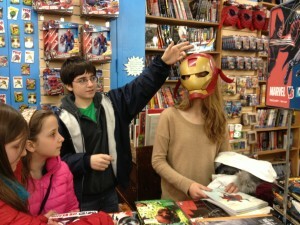 We explored Strand Bookstore: David Evan the comic book section; Ainlay, the travel section. We entered the Halloween store that extended from Broadway through to 4th Ave. Ainlay told us how David Evan used to walk from his home on Broadway through the store to get to his school on 4th Ave. He never needed to cross the street. We bought some curios and said goodbye to the Dixons once more. We were lucky to find the Dixons. They gave us the chance to escape from the tensions of travels. 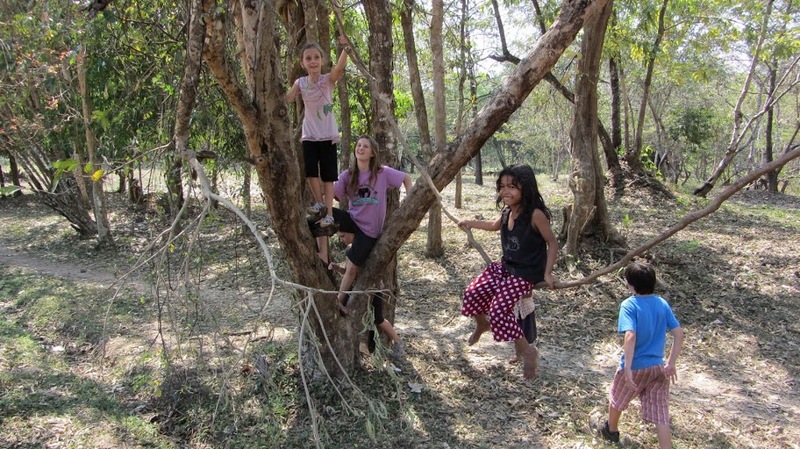 The kids shared adventures, watched movies, and had sleepovers. The adults talked and sometimes kvetched. It was an opportunity for the families to compare notes: to talk about what we had done so far, what we had planned to do, what it was like on the road, and what it was like at home. Again and again we got to hang with a family from the US and to tell stories of all things foreign. While we were together in New York, Ainlay described her adventure plans for this summer. Maybe we can join them in Mongolia. This entry was posted in Argentina, Cambodia, Indonesia, Thailand, Thoughts on Travel, United States. Bookmark the permalink. Thanks for an always amazing adventure! Simply awesome!! Thanks, Nancy. We need to have an adventure in Tucson soon, too. The photo of you and seven others on the beach at Gili Air (or Bali) is so evocative of your visit with another family across the world! Kudos to Bill? Thanks for sharing this bit of your trip. Mongolia sounds fascinating!